Graduation season is finally here which can only mean one thing: it's time to find the perfect gifts for the special graduates in your life! One of my best friends graduated from high school yesterday and it made me think about how crazy it is that mine was already a year ago. 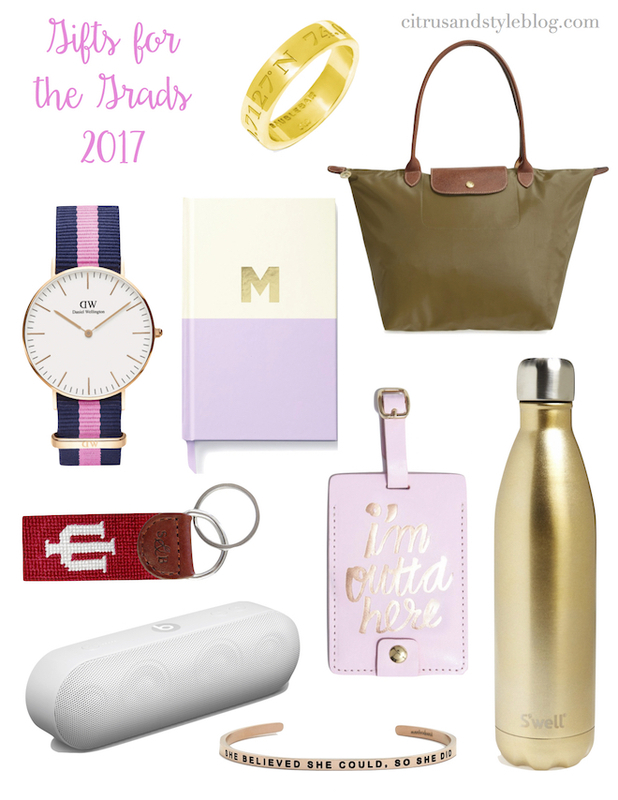 So, I rounded up some of my favorite graduation gifts at a variety of price points to give you some ideas of what a 19 year old girl would love to receive. One of my favorite presents was this Daniel Wellington watch, something I've worn multiple times a week ever since I got it from a family friend. I also included some college essentials like a really good quality speaker, a Longchamp tote for class and a durable water bottle - all things I personally use while at school! What were some of your favorite graduation gifts? I love these ideas! I really need to get myself one of those cute water bottles. Also, what website did you use to make that collage? I love it!